I love sushi. So much so that I could eat it every night. 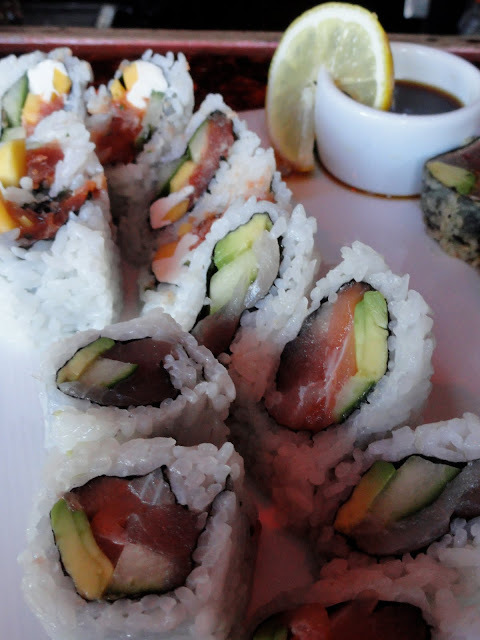 One of the great things about living in Northern California is the abundance of sushi restaurants, from small affordable, to famous high end establishments. Here is a sampling. Iron Chef Morimoto recently opened a sushi restaurant in Napa, called Morimoto and we were there within the week. 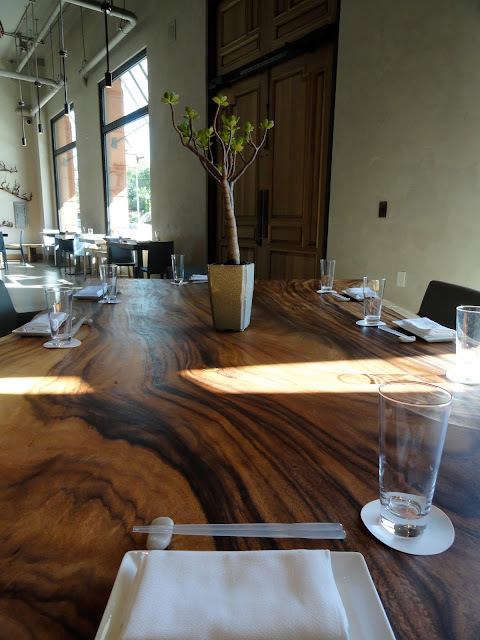 We had high expectations, especially because he owns Nobu (if you remember from my very first blog entry, it is my favorite restaurant). I am sad to report that we weren't impressed. The service was disappointing, and almost condescending. 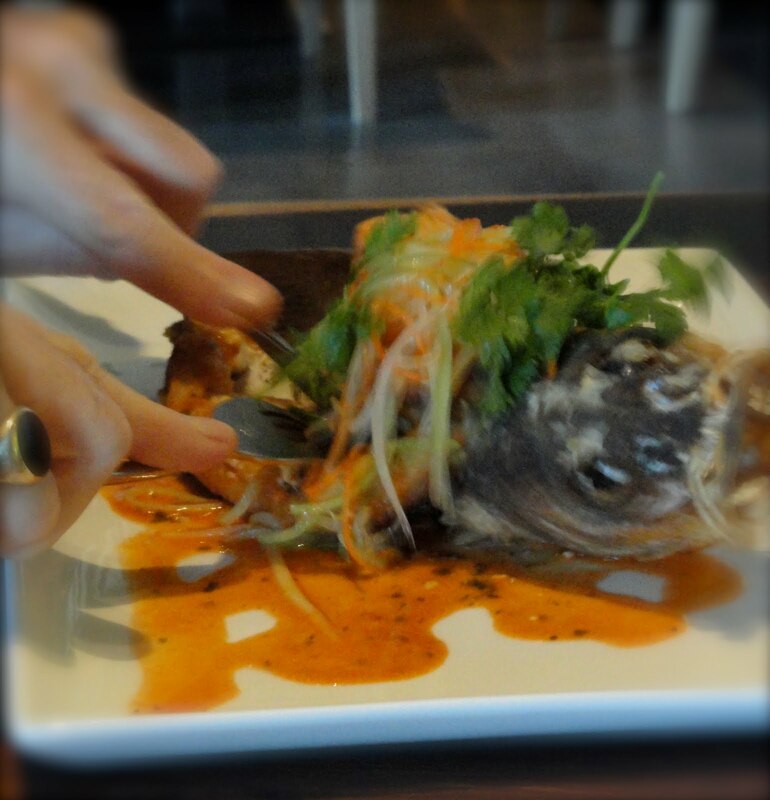 Our appetizer was tasty and creatively displayed, but the rest of our meal wasn't anything special. The decor however was really pleasing. Our appetizer was a hamachi tartare. It came with little paddles and an assortment of flavorings to dip in. 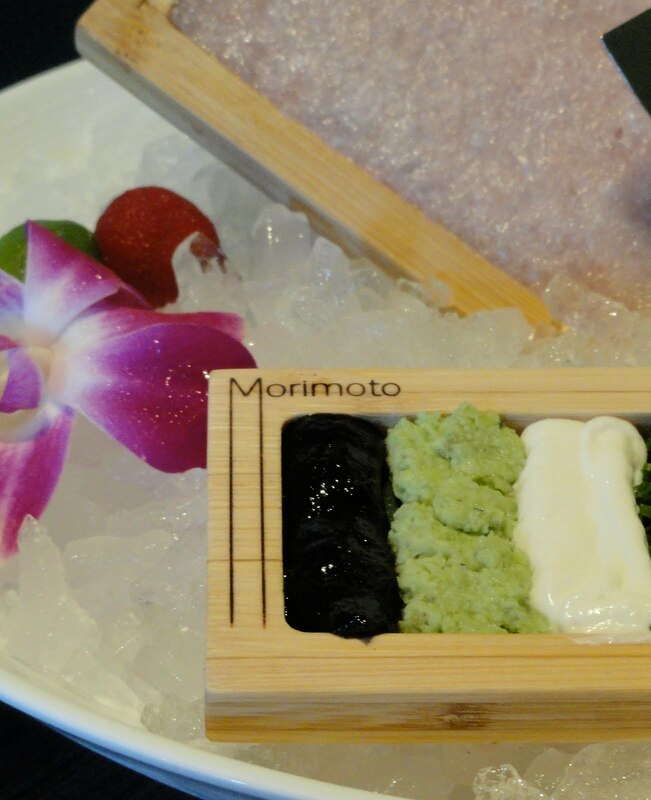 Nori paste, wasabi, creme fraiche, chives, avocado and puffed rice. We struck up a conversation with the couple at the next table, and they were nice enough to let us take pictures of their food, and even gave us a taste! I promised I would blog about it, so cheers! 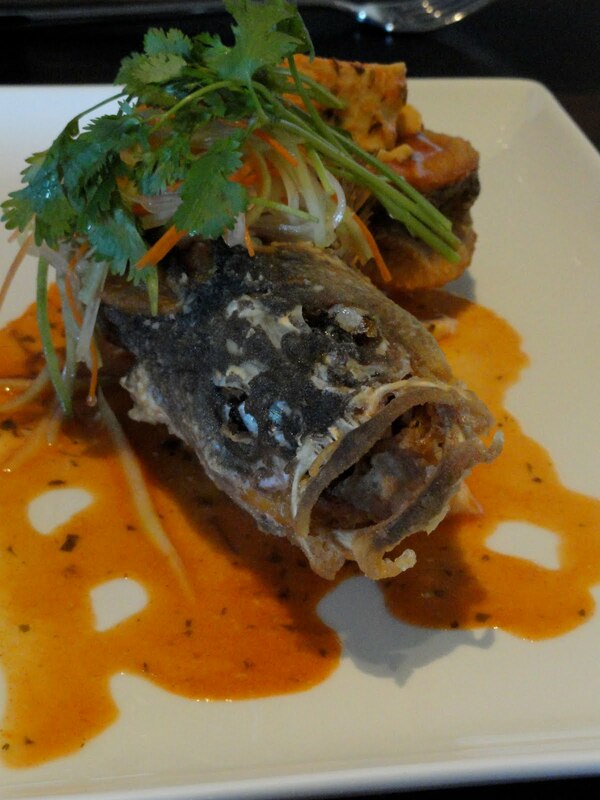 Crispy whole fish with spicy tofu sauce and papaya salad. Steamed halibut with black bean sauce, ginger and hot oil. 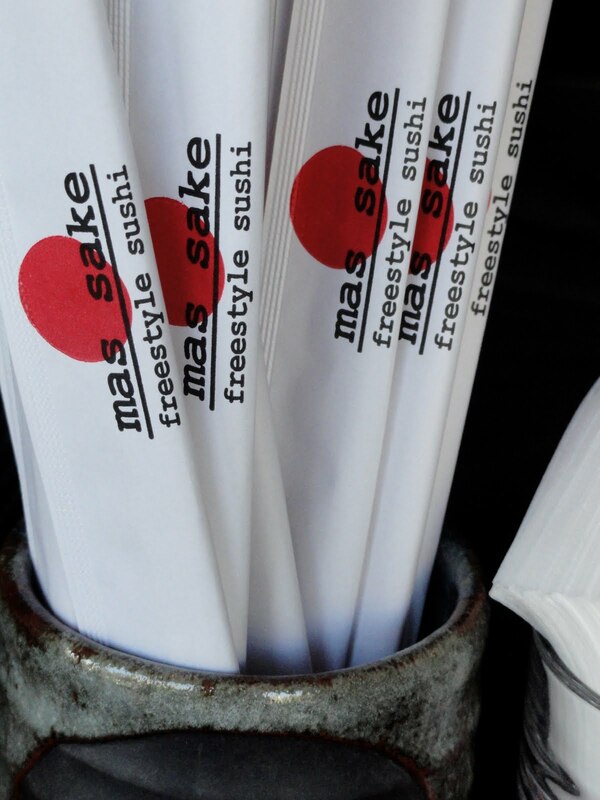 Next on the sushi journey was Mas Sake, a happening little place on Lombard in San Francisco. Its one of those place with a cool scene, loud music and funky sushi rolls.